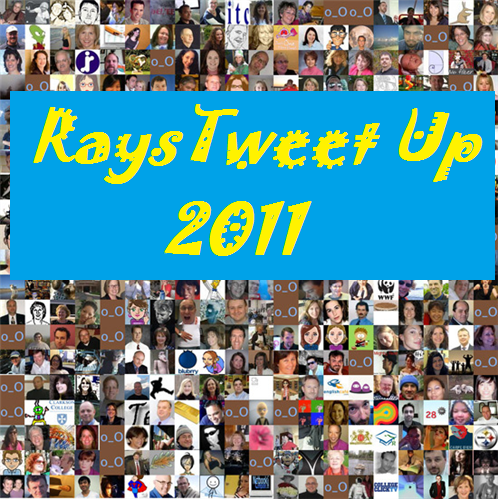 So how excited is the Rays Republic heading into the Tampa Bay Rays first Tweet Up? I would say as excited as a walk-off homer, complete game shutout and hitting for the cycle. 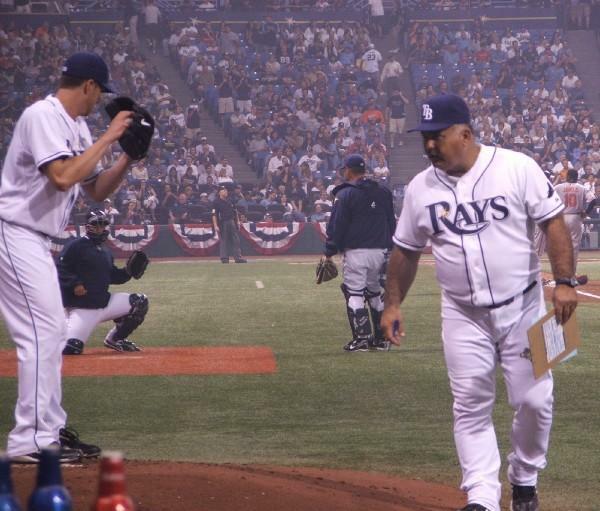 Who wouldn’t be excited about sitting just beyond the shoulder of Rays Bullpen legends Scott Cursi and Bobby Ramos. We could have a possible dancing brown bear moment, or maybe even a Kyle Farnsworth sighting. Seriously, it has been a great thing that the Rays front office and their marketing department embrace the social media phenomenon and provide a chance for the Rays Republic to possible hi the Worldwide trending board with such an effort. That is where I am predicting this event will fall in the ranks of the Tweet Nation. Even if we just hold that sacred spot for a minute, the work, hustle and bustle would be a complete success. So that is a goal within our reach, one we can touch or type, to provide a Rays moment Worldwide. I love the sound of that personally. 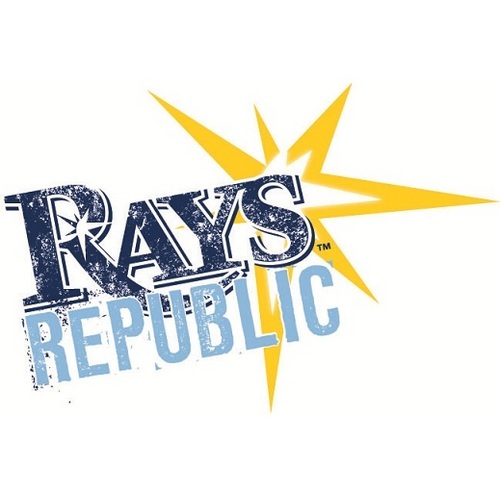 We know @RaysRepubilc, the Rays official word smiths of the social media universe, will be providing interesting incentive, prizes and possible inclusion of witty banter posted during the event. Did you know the creative brainiacs behind @RaysRepublic now have over 100,000 Twitter followers? Who knows, maybe we can even get a up close and personal moment with the @RaysRepublic crew, a picture would be perfect (hint, hint). I have heard that each person buying a special Tweet Up ticket will not only enjoy the company of other 140- character Rays fans, but will have the chance to sit in the exclusive Papa John’s Bullpen Cafe nestled just beyond the Rightfield line a stone throw away from the Rays Bullpen. Heck, it is just a soda cup away from my own old roosting spot. Being offered even before the event in Twitter contests by @RaysRepublic will be a chance to win tickets to the event, a chance to throw out that night’s Ceremonial First Pitch that, plus a unique chance to hand the Rays line-up card to the Umpires before the game. Of course the crafty minds within the Rays Promotions department are not done there. 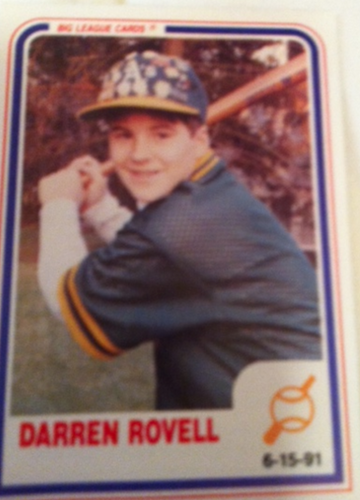 Also on tap is a chance to be the personal (game day) assistant of Emmy award winning CNBC sports business reporter Darren Rovell (@darrenrovell) who like the @RaysRepublic crew sports more than 100,00 followers. Another special treat at this game will be hearing Rovell perform the National Anthem, plus have a chance to view his tweets as he moves about Tropicana Field. The ticket package is still being finalized, but you can go to www.raysbaseball.com for updates and hopefully a official announcement and begin of ticket packages for this unique Rays Twitter experience. Who knows, you might have a chance to sit by the spirited and spunky @Lovebees, or maybe even meet the Rays twins @TBRaysTwins, or possibly get a glimpse of the lovely@Sportschix1. Seriously now, the Rays are sporting a impressive Twitter collection of MLB player based accounts with the likes of @DAVIDprice14, @Evan3Longoria, @BJUpton2, @SamFuld5, @TheZobrists , @ShopHouse10 plus @Acobb53, @TheRuggianos, and @d_jennings15. The Rays even have a Bullpen presence with @ceez_27, @robdelaney55 and @CheckwitEck tweeting out of the Bullpen (not during games). Even the medical staff is Twitter bound. Rays Strength and Conditioning guru Kevin Barr has a Twitter home, @TheBBRcom. 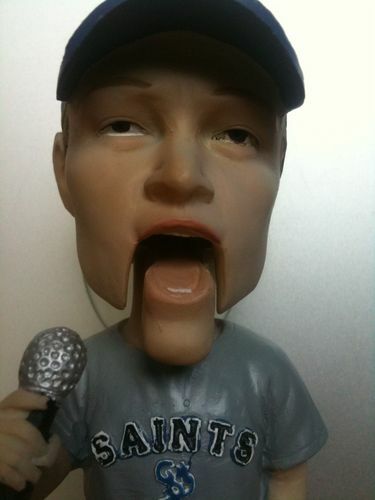 You can even follow Rays In-Game host Rusty at @RustyKath if you need post game banter. Rays Manager Joe Maddon can also be found making sporadic quips, and witty banter from @RaysJoeMaddon. Last, but never least, Rays post and pre-game savant Rich Herrera can be found @richatthetrop. Going to be a wild and exciting night where the Rays Republic far and wide can contribute and expand the Rays Way all over the World. And added bonus is tweeters who use the hashtag #RaysTweetUp will get a chance to have their tweet posted on the Rays jumbotron during the contest. How’s that for expanded media! Also heard a few whispers that each ticket holder might have future bragging rights with a special edition T-shirt just for holders of a Rays Tweet Up ticket. 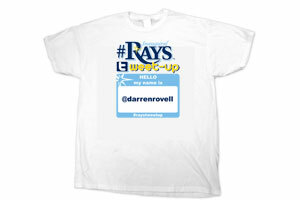 Purchase your Rays 2011 TweetUp tickets at this link (Special code word is TWEET) which will also entitle you to a personalized Rays TweetUp T-shirt, some light food and beverages while you relax and tweet from the Pappa John’s Bullpen Cafe, plus a special invite to a post-game Q and A session with Guest Darrell Rovell on the Social Media ( If he survives the scavenger hunt). I already know you can count me in for the event, plus will have the laptop primed and ready to go before the game, and ( hopefully) well after the final pitch. Personally I am hoping to get some time with the fellow Rays Twitter Nation and talk, chat and maybe even watch the Rays take on the Toronto Blue Jays who also sport their own legion of MLB Twitter foes. Hope to see you there (I will be sitting by Bobby and Scott)…..or just tweet me @TheRaysRenegade. I will come see you…I promise.